Infuse your look with color and energy wearing the John Hardy® Classic Chain 5 mm. Drop Earrings with Turquoise. .925 sterling silver drop earrings with turquoise and classic chain details. We can't currently find any similar items for the Classic Chain 5 mm. 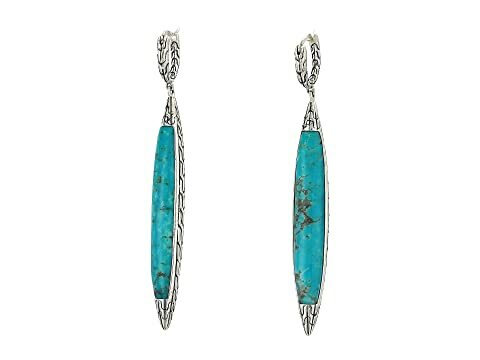 Drop Earrings with Turquoise by John Hardy. Sorry!